As for another major safety feature, seat belts hold you extremely tight in a high-impact crash. They are supposed to do that in a crash of this nature and, again, may cause damage while protecting, such as hematomas, fractures, bruises and punctured lungs. If you are injured by an airbag or seatbelt, you also may be entitled to compensation from the automobile manufacturer if their engineering of the component was faulty, if their choice of material for the component was faulty and many other reasons. Call an automobile accident attorney like Jonah Wolfson of the Wolfson Law Firm, and he will discuss the possibilities with you. 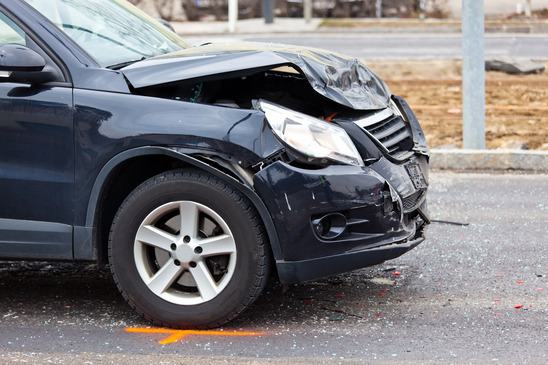 Why Do Head-On-Collisions Occur? Where Do they Typically Occur? What Other Factors Could Be Involved? Contrary to common belief, the majority of head-on collisions occur under optimum road conditions, when the weather is dry and in daylight. One theory is that more fatal accidents of every type seem to occur in nice weather when drivers may relax their guard. In bad weather, the majority of drivers tend to be more cautious, more attentive. Some injuries that are known to occur in head-on crashes are: wrist and elbow injury, nerve damage, lacerations, whiplash, head and neck injuries, back injuries, scarring, burns, broken bones, ankle and foot fractures, leg fractures, and pelvic fractures. At the very worse, serious, life changing injuries can occur, such as traumatic brain injuries, injuries to the spinal cord which may cause paralysis, disfigurement, loss of one or more limbs, and death.